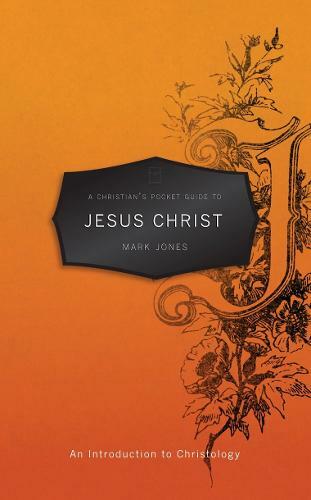 A Christian's Pocket Guide to Jesus Christ - Mark Jones, CFP 2012 - This book is gold. I can't remember the last time I read such a small book that has had such an effect on me. At 76 pages I think it's worth almost memorising! There are lots of really helpful emphases, particularly Jones's treatment of the Incarnation, Christ and the Holy Spirit, and the Threefold Office of Christ. It is Christology from above and is a very helpful introduction indeed. It could be used in a variety of contexts in church life and will leave people wanting, even craving, more. Buy and read. "Who is Jesus Christ? Our answer to that question will determine our eternity. What we believe about Jesus is essential to our belief in Jesus. In this book, Dr. Mark Jones helps to answer hard questions about the person and work of Jesus Christ in a simple and clear manner. This book is an excellent tool for evangelism and discipleship, and it is a much-needed resource for new believers, laypeople, and pastors alike." "Mark Jones has served us well by writing this short introduction to the doctrine of Christ. His book is biblical, clear, and rooted in historic Reformed theology."